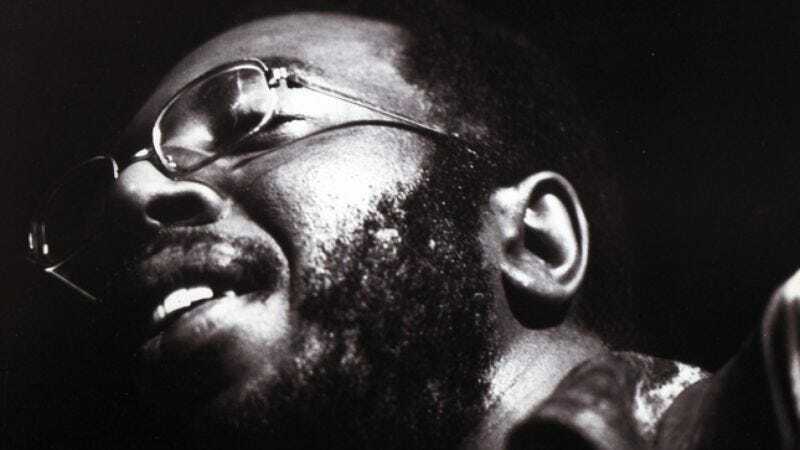 Why it’s daunting: By the time Curtis Mayfield died in 1999—a decade after an onstage accident left him paraplegic—he’d been given almost every major accolade the music industry had to bestow (up to and including induction into the Rock And Roll Hall Of Fame). But his greatest commercial success, the soundtrack to the 1972 blaxploitation film Super Fly, is the extent of many music fans’ knowledge of Mayfield. The oversight is somewhat understandable. Factoring in his work with ’60s group The Impressions, Mayfield produced a huge body of work that deeply informed the R&B mainstream while always remaining slightly to the left of it. Accordingly, little of his music (outside of numerous samples) has worked its way into pop culture at large—to the point where Mayfield, one of the 20th century’s greatest songwriters, has become something of a cult figure. That said, his music couldn’t be warmer or more approachable, even if the depth of his catalog can make initiation seem a little overwhelming. Why: Common sense would dictate that Super Fly or a Mayfield collection might be the best place to start. As great as Super Fly is, though, it’s not the best indication of Mayfield’s range as a singer, guitarist, and songwriter. And of his many collections, only The Anthology: 1961-1977 is close to being a good gateway—but its 40 tracks are weighted too heavily toward his admittedly excellent work with The Impressions. (And the three-disc People Get Ready: The Curtis Mayfield Story is just overkill for the newcomer.) For a concise yet sumptuous intro to Mayfield, nothing beats his 1970 solo debut, Curtis. Next steps: Short of the sprawling The Anthology, there’s no Impressions collection that represents the group’s full scope and excellence throughout the Mayfield years. But The Impressions’ two best full-lengths, 1968’s This Is My Country and 1969’s The Young Mods’ Forgotten Story—often bundled on a single CD or download—are both good places to start. Neither reached above 100 on the Billboard charts, but the albums’ mix of social awareness, supple songwriting, and the bone-deep harmonies of Mayfield, Fred Cash, and Sam Gooden are still stunning in their timeless craft and confidence. On the rise at the time was the harder funk of James Brown and Sly Stone as well as the softer, orchestral strains of Philly soul and Mayfield’s fellow Chicagoans at Brunswick Records. Mayfield and company synthesized these building blocks while hewing to a solid core of piercing, intimate songwriting that triumphed at humanizing political statement and lovelorn ballad alike. Live R&B albums from the early ’70s aren’t particularly known for their excellence, but Mayfield’s 1971 live album, Curtis/Live!, is close to being a perfect gateway itself. Taped at the famed Greenwich Village nightclub The Bitter End, Curtis/Live! covers Mayfield’s entire career to that point—and his intimate banter and wide-swung dynamics audibly keep the audience dancing on a hook. Mayfield never gets enough credit as a guitarist, regardless of the fact that he’s widely acknowledged as an important influence on Jimi Hendrix’s playing, but here his liquid licks and emotive virtuosity are given room to dazzle. No baptism into the church of Mayfield would be complete without Super Fly. Ironically, the soundtrack holds up far better than the film it was created to supplement. The indelible hit singles “Superfly” and “Freddie’s Dead” are bleaker and more blatantly outspoken than most of Mayfield’s output, but they evocatively capture the urban unease and racial disparity of the time. It’s made all the more haunting by Mayfield’s floating falsetto and almost pleading demeanor; never tough or blustery, he served less as a lover or fighter and more as the troubled conscience of his time. Where not to start: While Mayfield’s streak of excellence as a solo artist lasted deep into the ’70s—in particular, 1971’s Roots, 1973’s Back To The World, 1974’s Sweet Exorcist, 1975’s There’s No Place Like America Today, and 1977’s soundtrack to the film Short Eyes—he also succumbed to the slicker production and less challenging format of love songs as time went by. That’s not to downplay Mayfield’s deft, sensitive way with a romantic slow jam, but discs like 1978’s disco-slanted Do It All Night and 1979’s lackluster Heartbeat are not the best ways to go about getting hooked on his music. The same can be said of his sporadic output from the ’80s until his 1997 swansong, New World Order, a sanitized yet heartbreaking album recorded and pieced together on computer as he lay in bed paralyzed, mere months from death. Going backward, pre-This Is My Country Impressions albums are typical of the era, in that they’re little more than filler-packed vehicles for singles. But those singles are some of the most incredible of their era, regardless of genre; for instance, This Is My Country’s immediate predecessor, We’re A Winner, may be marred by a hokey cover of The Fifth Dimension’s “Up, Up, And Away,” but it also contains the title track—a staunch, stirring, uplifting anthem of empowerment that became a hymn for the Civil Rights and Black Power movements. Track down the individual Impressions songs of this era, but avoid the full albums until you’ve already become immersed in Mayfield.